There are those days as a normal human being I struggle to put my trust in the Lord…I struggle with doubt. Trusting in Him who holds tomorrow…even when today seems dark. Trusting in Him who sees today…even though yesterday was a hard day to go through. We trust in the name of the Lord! 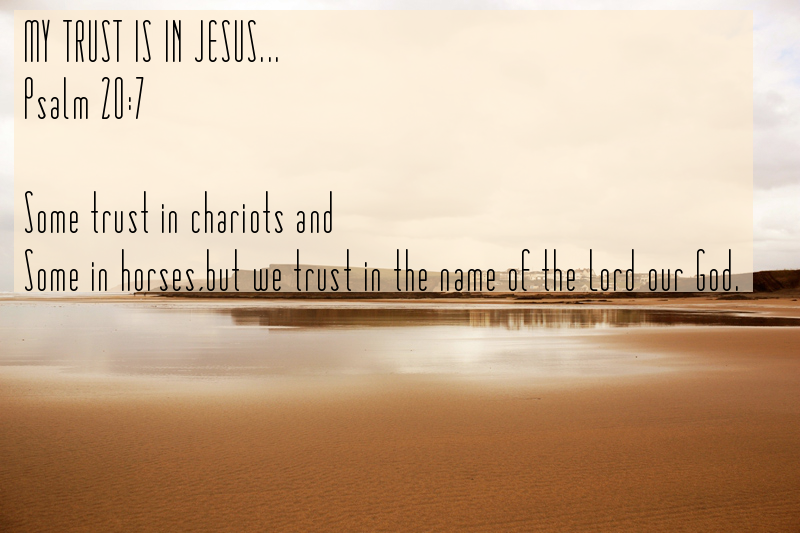 Some trust in chariots and some in horses, but we trust in the name of the LORD our God. !